It’s only been on the market for a few weeks, but our new serial comp wing POISON X-ALPS is showing its mettle with fantastic flights. On June 24, FAI record holder Thomas Walder made what was probably the most spectacular flight of the 2016 season. After an early launch from the Zillertaler Höhenstraße in Austria („I even could have launched before 9:00 am”), Thomas crossed the main Alpine range for the first time in the morning. After an excursion into the Stubai Valley and to Sterzing, he followed the fast Pustertal Valley route to Innichen, then crossed the 3000-meter-high Tauern in dolphin style before flying back to Pongau and Pinzgau, landing nearly in his own garden after 11 hours in the air. The impressive stats of his flight: 278 km over a triangle course on a spectacular new route with unlimited potential! 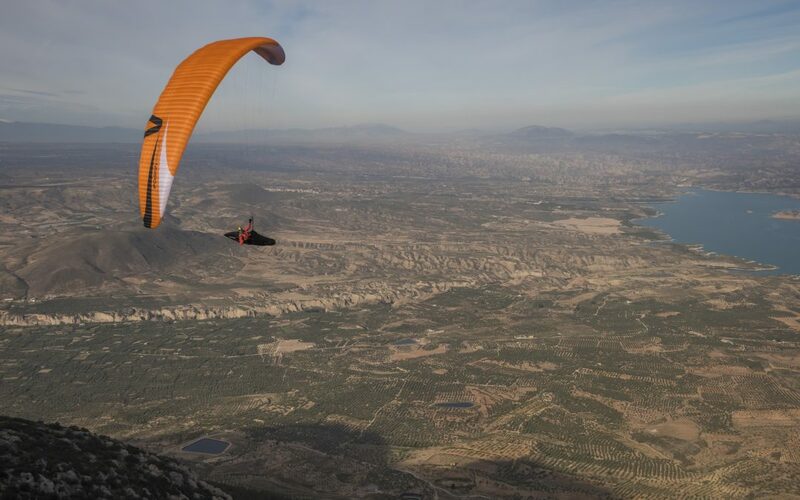 Thomas Walder, who currently holds the record for an FAI triangle of 326 km, chose the POISON X-ALPS for his new project. Will the 350 km barrier be broken this year? We’re looking forward to finding out! “The POISON X-ALPS is a real XC machine!” claims Tom. We can only agree. 100 kilometers shorter, but equally impressive is the FAI triangle flight of the German vol bivouac specialist Philip Ott. With a POISON X-ALPS demo glider provided on short notice by skywalk, he launched from the Hochstein, near Lienz, Austria, on a flight in which he also crossed the main Alpine ridge twice and was thrilled by the performance and handling of our comp wing. The brand-new POISON X-ALPS is not only impressing pilots and competitors on XC flights, it’s also leaving its mark in key competitions. After our paraglider designer Stephan Gruber won the serial class in the Zillertal Open in the beginning of May, Tom Walder competed successfully two weeks later in the Austrian Championship in Werfenweng. Stefan Brandlehner, who placed second in Werfenweng, was then victorious two weeks later in the serial class at the international Alpine Cup in Greifenburg.